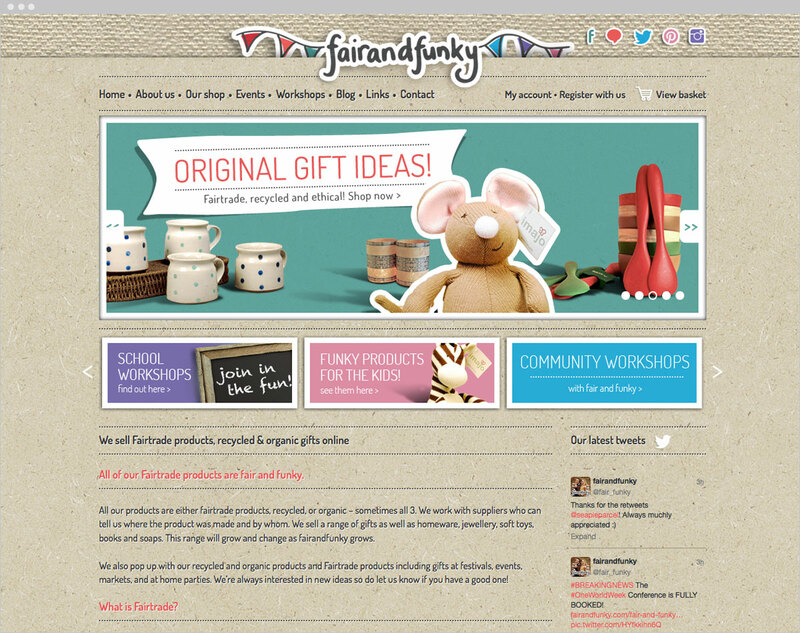 We were asked to design a logo, brand and an e-commerce website for ‘fairandfunky’ which is run by two very enthusiastic and passionate women, Helen Robinson and Sophie Bebb. 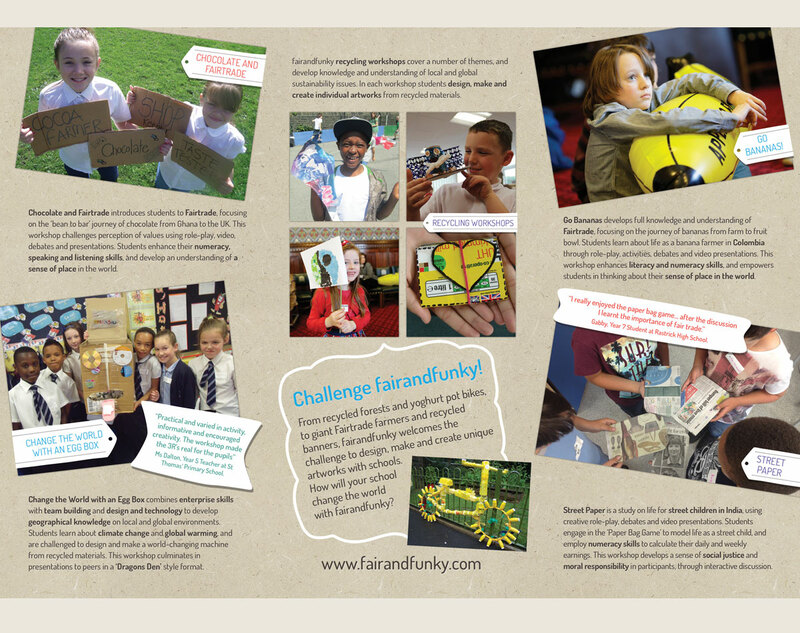 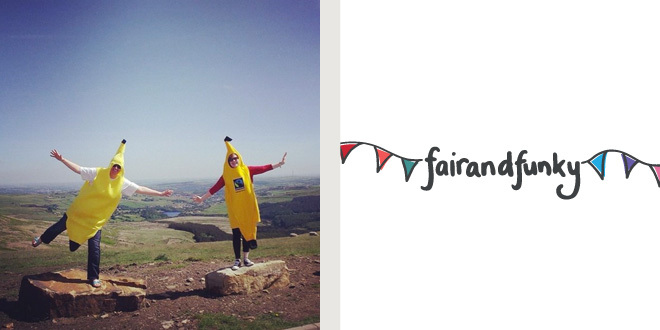 fairandfunky is a community interest company with the mission statement: ‘Empowering people to take little steps to change the world’. 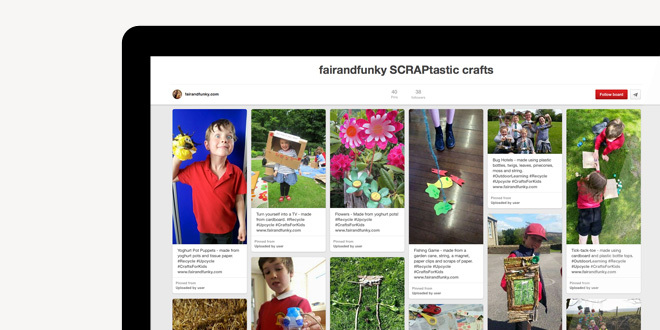 They needed a website as a platform to sell sourced products that are recycled, fairtrade, or organic – sometimes all 3 as well as advertise events such as Fairtrade workshops. 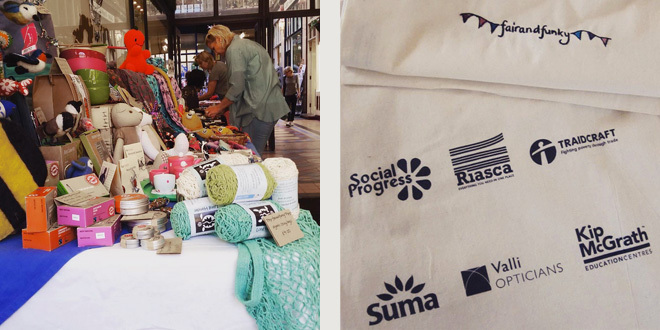 The branding and logo design of the website reflects their core message. 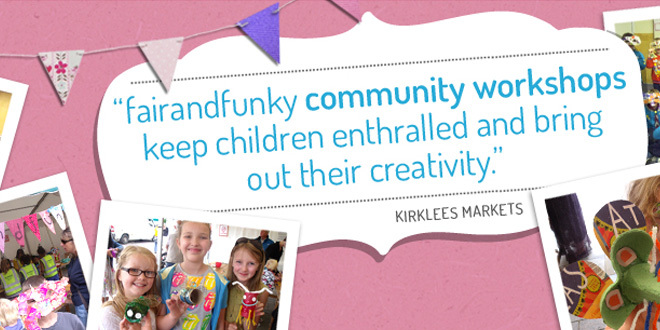 We gave the site an organic and recycled feel mixed with bright colours and engaging banner images – this, we feel, lifts the vibrancy and energy of the site. 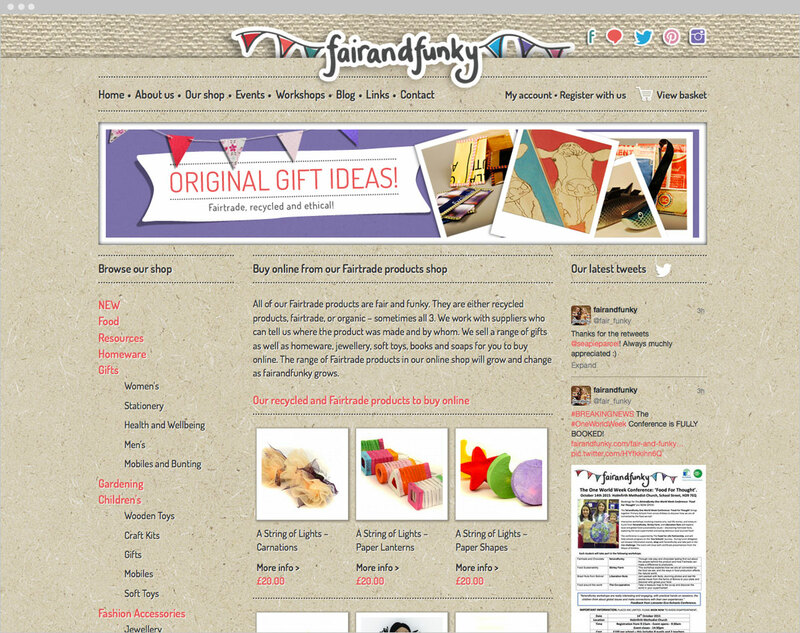 The website is built in WordPress and there are lots of things that can be controlled and edited very easily by Sophie and Helen – allowing them to keep their content fresh with upcoming events and the latest products to their online shop area.